1. 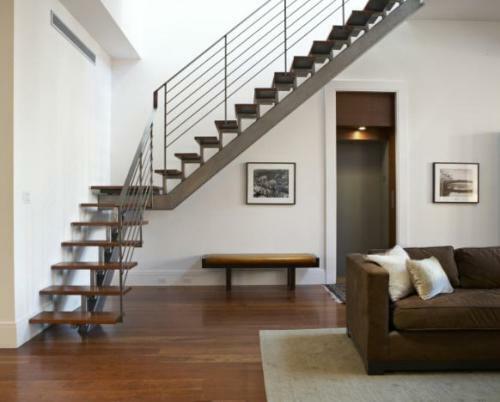 Clean up piles of clutter: Get rid of things you do not need to create space for other necessities. 2. Creating green house: Plants clean the air and make the house brighter. Avoid plants with thorns, such as cacti. 3. Throw objects that break: The feng shui principles, the objects that break created frustration and pessimism. It's not something you should keep. 4. 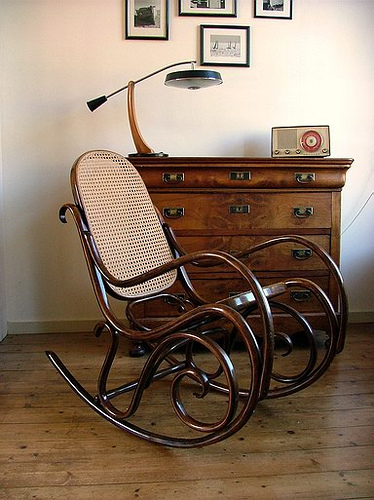 Place furniture properly: Placing the furniture in the house has a greatly affect your mood. So plan ahead carefully before making. 5. Create a picture perfect: Set the active work of art around, it will create a positive environment and refreshed condition. The color of the room to avoid cold tones, it often feels cold, lonely. 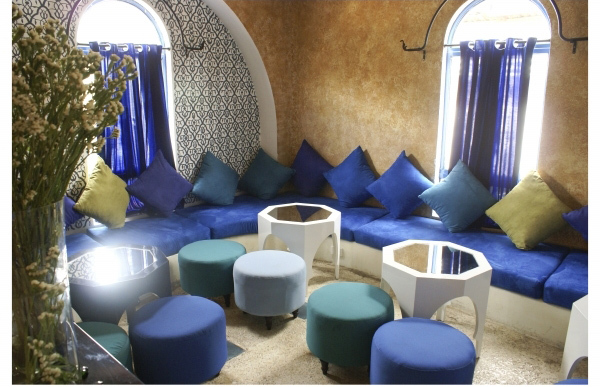 For newly married couples, you can use bright colors, vibrant, and then use light color. Pink, red often will make people excited. Starting need excitement but if prolonged it can cause stress, inhibition. 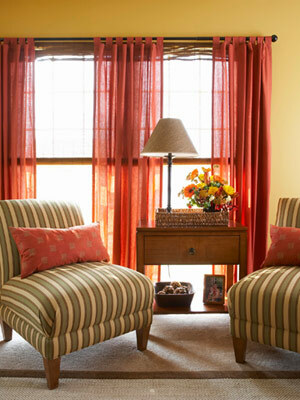 The warm and light colors will create feeling of serenity, comfort. After a day of hard work, you find that comfort is extremely important. Many people like a lot of wedding photos hanging on the wall. Immediately after the wedding, we often immersed in a sweet, wonderful married life. But some time later the room that it has so many wedding photos will make us the illusion that we always require a partner to be perfect. You should know that with time, people and things will change. If you want your marriage is strong, couples need to change together. 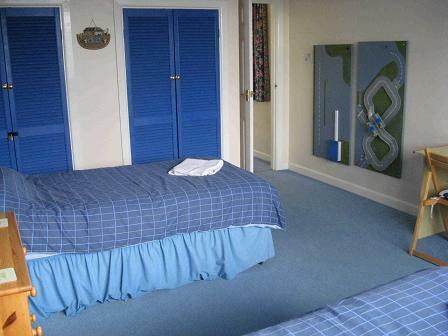 So you just hang a wedding photo on the wall behind the bed is sufficient. Color is very important for first impression of you. 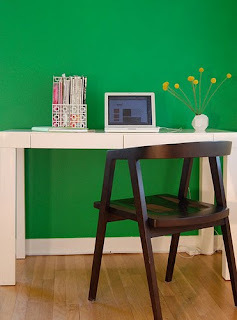 Change the color of the walls is one of the basic ways to create a new image. When choosing colors for your room, you should pay attention to the characteristics (location, area, and light, time) to select the appropriate color. 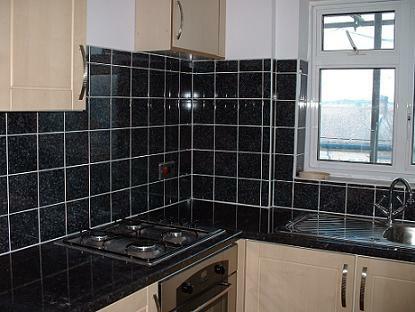 This room has large windows, it is surrounded by high rise buildings (this is the common case), so the traffic light into the room not as much as you want. 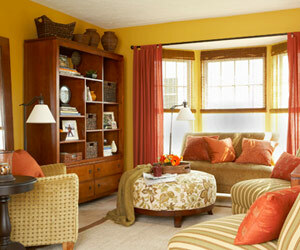 In this case, yellow is the best choice to create a feeling of bright, warm for room when winter is coming. 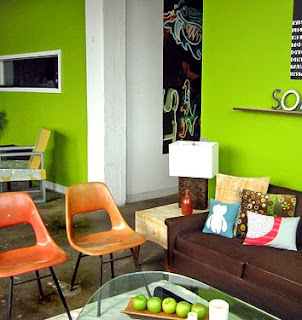 The size of the furniture should correspond to the area of ​​the room. With the small area of ​​the room as this room, you should select the furniture has small size, ease of use. The color of the furniture that it is the largest size is the main color of the furniture in the room. 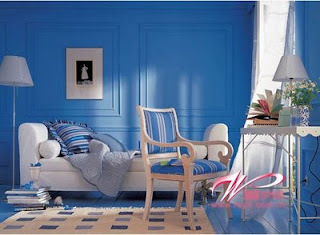 The color of the other furniture that is smaller than would be selected in accordance with the main color and your liking. 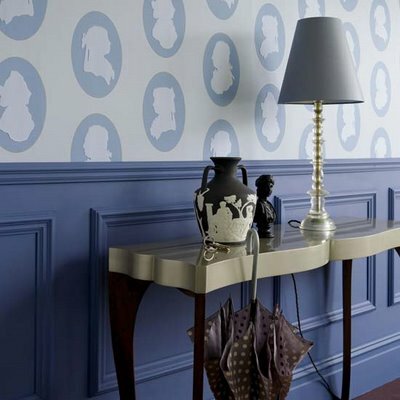 It could be colors, patterns, motifs similar to create the style of the room, but it can also be the color contrast, the difference will be accentuated and personality. The striped and circle pattern "tone sur tone" will be selected in conjunction with the uniform color. 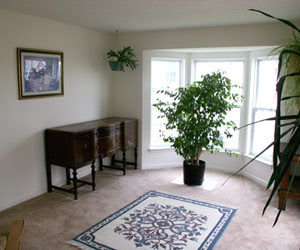 Decorations should also harmonize with the general, not be too focused on number of furniture. 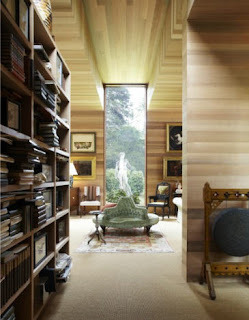 So easy to fall into fanfare and it may lose the harmonious beauty of the room. 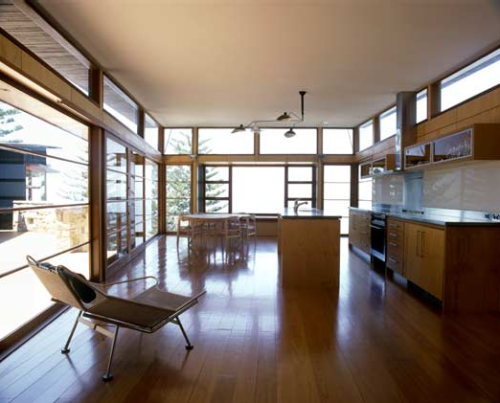 Window frames are very important in bringing light into the room, it creates the airy room and it affects the overall beauty. 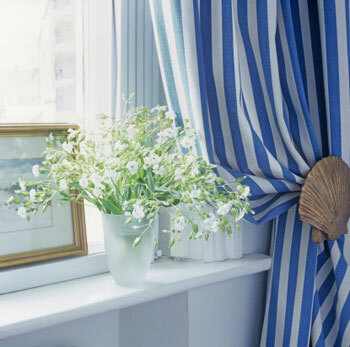 Simply by replacing the curtain make window frames become new and vibrant. When choosing curtains, you should pay attention to color, material and time. 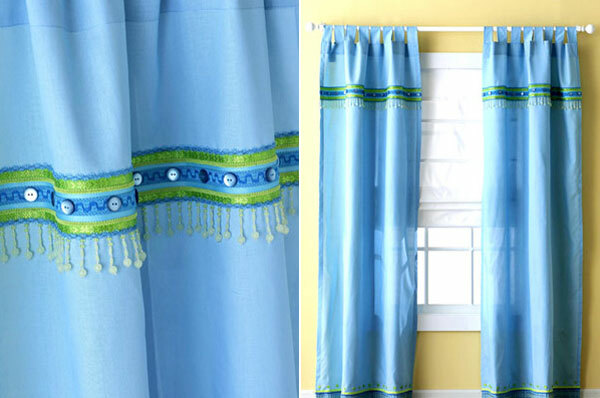 In cool weather of autumn, the thin curtain has bright colors will bring light and air into the room more easily. 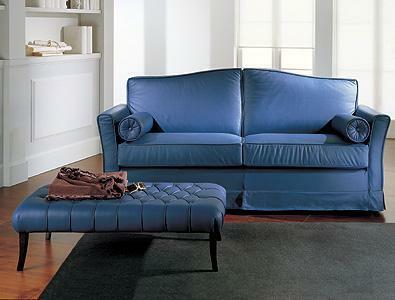 This is an indispensable space in the living room. 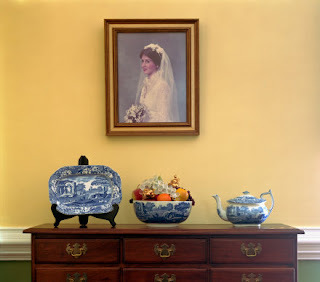 It can be as simple as some walls with paintings, a small table with vases of flowers and photos. 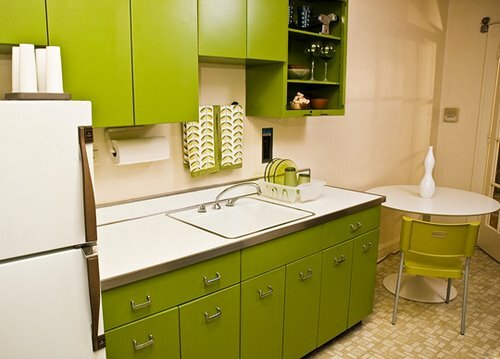 A cabinet is where you can put small decorations will make your room more impressive. 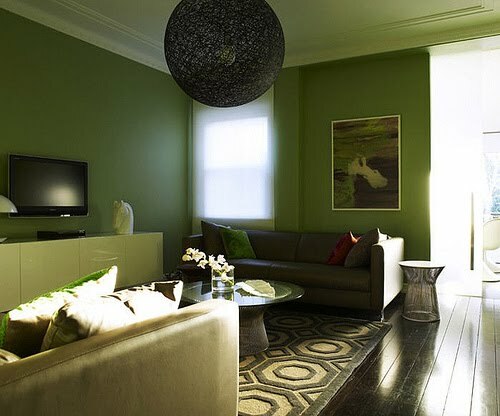 Instead of choosing strong colors, you can choose the light color, it will create a sense of peace and it will be the background color for the room. The soft colors like pale blue, purple or green will bring calm and serenity. Colors like brown, pink, yellow feels pleasant and comfortable. Light colors will make the room an open and wide space. 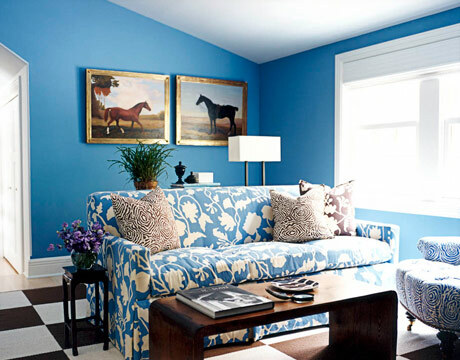 You should paint the ceiling a lighter color than the color of the walls. It will bring comfort and closeness. 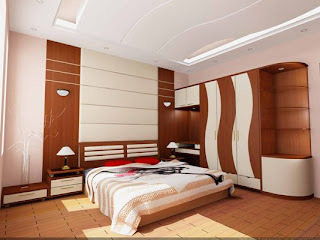 Some other solution for the ceiling which is the use of wallpaper. 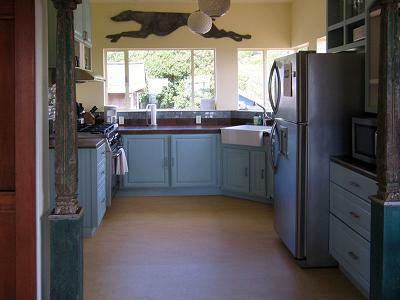 Beams, ledges, cornices were painted to decorate. 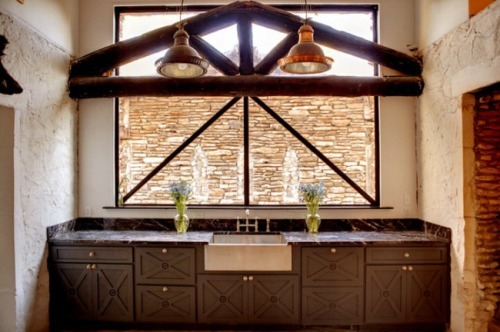 If you enjoy luxurious style, you can use thin sheets of silver to inlaid ceiling. You can decorate the ceiling with crystal chandeliers. 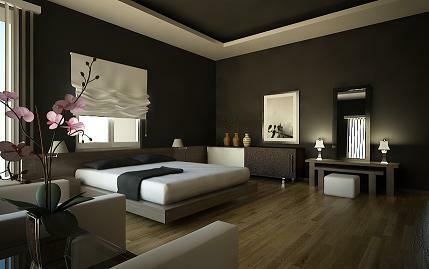 Whatever style you choose, then decorate bedroom look warm, simple, sophisticated and elegant. For ease of movement, you should leave at least 1m between the bed with a side wall or large furniture (cabinet stand), as well as a minimum distance 60cm between the beds and small furniture (desks and cabinets shelves low). You should only equipped with a minimum of what is really necessary as a bed, one or two small cabinet or table next to the bed, small closet shelves, and chairs. The ornaments should be the minimum, choose a most beautiful picture you have, some family photos, and add a few flowers and candles, that's enough. 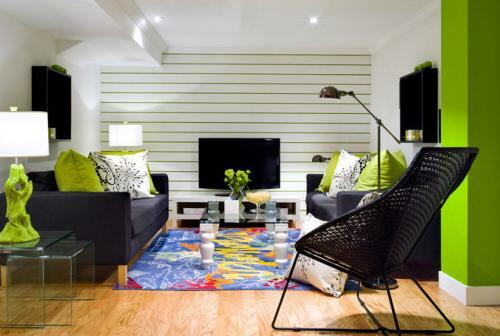 When you are ready for buying furniture, start with the design and measurement of space in the room. Furniture should be appropriate and fit the room it is placed, and this is especially true for bedroom furniture. Should not choose a heavy bed and large closet shelf for a small bedroom. If the ceiling is high, tall cabinet will make the ceiling seem lower. Let's hide the personal belongings out of sight for space in the bedroom more spacious and airy; this will help you feel more relaxed and comfortable in your room. 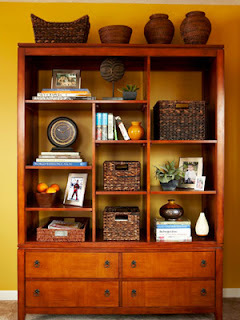 Choose cabinets with wide range drawers so you can store books, creams and reading glasses. 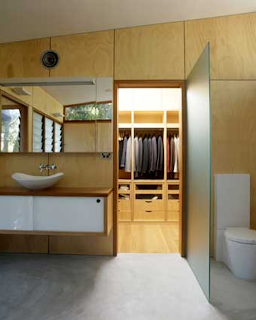 If you have very much things and if you need the chamber, please choose a cabinet with many drawers’ shelves. Use the storage drawers that you can hide them under beds, or choose a bed with many large drawers underneath to store things (with this type of bed, use bed sheets to cover to the floor, hide the drawer). Making furniture according designing can help you make the space and the cavity contains a maximum of your discretion. Give yourself a special gift that is a quiet corner to sit and read books, or you can lie in a lazy and relaxing all the senses. 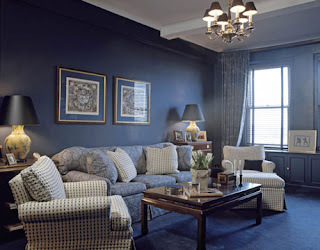 You will need a comfortable chair placed in the corner with a small chair to keep your legs, or romance, you can put a long and comfortable chair just below the window sill to watch the scene outside and took the natural light. Please use the fabrics beautiful and best for your bedroom, because it brings comfort, comfort and relaxation for body and spirit. Cotton linen is the first choice of the leading hotels, so you can also choose it for your cozy room. Do not choose the fabrics of synthetic fibers because they do irritating to the skin and not escape the sweat. 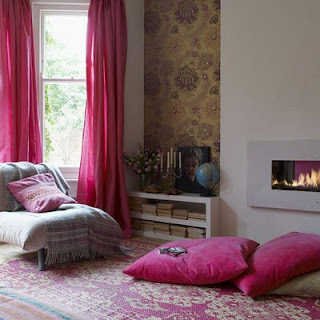 It is best to choose silk, wool, fine wool (for winter) and soft carpets. The decorative frame around the window just as you are playing a lovely frame for a fresh scene outside, it also lets you add paint color, texture and softness to the room. 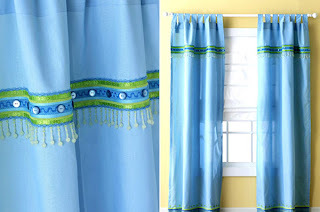 If you love the soft light through the thin curtain, let's combine it with thick roller blinds to maintain privacy at night and keep strong sunlight during the day. With these types of blinds out, choose opaque fabrics or have liners to prevent extra light when you want to sleep later in the morning. It would be great if you clear classification for the lighting in the bedroom: lighting the entire room, a small lamp to focus light for reading. To focus light for reading, select the type of lamp placed beside the bed where it can pivot to easily adjust the light suit your needs. Lights in the room should have a button control and a separate switch so you have the flexibility to light the area you want. Do not bring your phone, mobile devices, computers, TV and treadmill in the bedroom, make yourself a really quiet space to relax and restore energy. You will love having a room just for sleeping, reading and romantic moments. 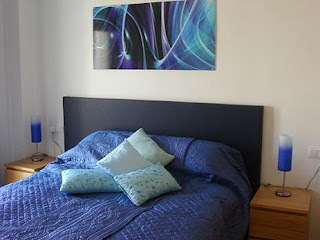 There may be many ways to decorate beautiful bedrooms. 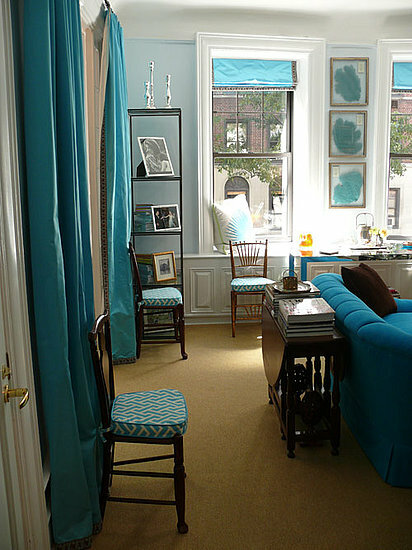 These are just some suggestions to help you decorate beautiful bedrooms. Gluing up a frame and panel door so it ends up perfectly square can be difficult. The pieces always seem to slip out of square during glue-up. To prevent this, I built the simple jig shown in the photo below. It provides an accurate reference that makes it easy to square up the door. A glance at the drawing shows that the jig consists of a plywood base that supports the door and two wood cleats that form a square corner. It’s important that the cleats are 90° to each other. So start by attaching one cleat with glue and screws. Then use a framing square to position the second cleat as you glue and screw it in place. 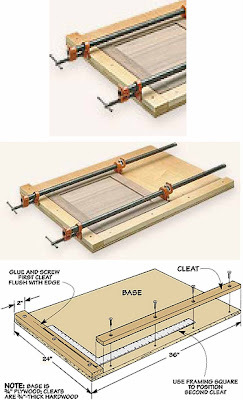 To use the jig, start by placing each clamp directly over (and parallel to) the rails of the frame. Then, adjust the pressure and position of the clamps until the frame sits square in the jig. Note: To prevent glue from sticking to the jig, I brushed on several coats of a polyurethane finish. When using a router, you want to avoid taking too deep a cut. It can create excess chipout and, in some situations, can be dangerous. So when I want to rout a dado or groove that's more than a 1/4" deep, I take multiple passes. I know. It's easy enough to change the height of the bit between passes. But with some routers, changing the height of the bit also slightly changes the position of the bit relative to the base. (This means you could end up with an unwanted shoulder inside the dado.) And besides, I've come up with a way of using depth stops that lets me avoid the extra setups. To rout a deep dado with one setup, I use a set ofdepth stops or plates that are carpet taped to the base of the router, refer to Fig. 2 at right. Two of these plates are made from 1/8" hardboard, and a third is 1/16"-thick plastic laminate. All three stops have a hole drilled in the center for the bit to fit through. Before you add the depth stops to the base plate, the first thing to do is adjust the height of the router bit to match the finished depth of the dado, as in Fig. 1. (Once the bit is set, leave it alone.) Then carpet tape the auxiliary stops to the base of the router (Fig. 2). After the first pass, simply "lower" the bit during successive passes by removing one stop (Fig. 3). The final pass (after removing the laminate depth stop) will be a 1/16"-deep skim cut that will leave a clean dado at just the right depth. Use denatured alcohol as a sanding aid to improve the quality of your finished projects. After sanding, use denatured alcohol to remove the excess sawdust that is trapped in the grain. 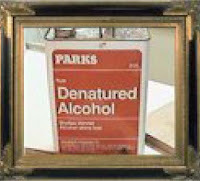 The denatured alcohol will evaporate quickly, allowing you to sand the raised grain and produce a smoother finished coat. WARNING! - To help avoid the risk of a fire or explosion when using a power sander, allow the alcohol to evaporate completely! When it comes to cutting a dado, nothing beats a stacked dado blade set. Like other dado blade sets, mine comes with a 1/32" chipper (in addition to the standard 1/16" chipper). This gives me a lot of choice when it comes to "tweaking" the fit of a dado. Especially when cutting dadoes to accept "off-size" thicknesses of plywood. The problem is it takes awhile to find the exact combination of chippers needed to produce a good fit. So I use this handy gauge to tell me at a glance, which chippers to use, see drawing. The gauge is nothing more than two glued-up pieces of ¾"-thick plywood with a series of dadoes cut in it - one for each different width of dado that I can cut with my blade. The combination of chippers required to cut each dado are labelled underneath. 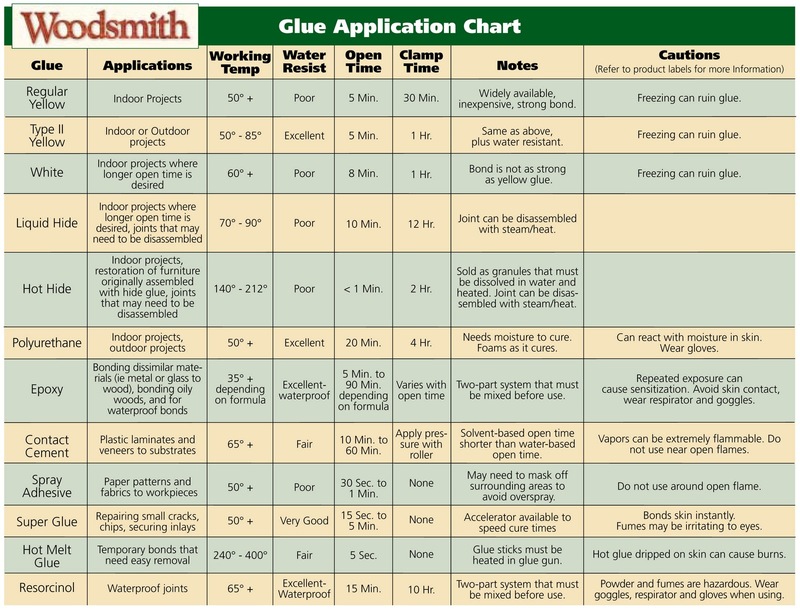 Using the gauge couldn't be easier. 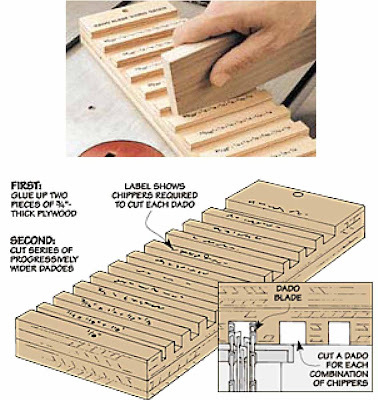 Simply test fit the plywood (or other work piece) in each dado until you find the one that produces the best fit, see photo. Then read the label to get the right combination of chippers. Crosscutting wide boards on my table saw has always been a challenge. The pieces are awkward to handle, and it’s hard to control my mitre gauge when its head is off the table. I know some saws have a T-slot in the table and a mitre gauge bar with a plate that catches in the slot. But mine isn’t equipped this way. That makes it difficult to hold everything and guide the board. I’ve had cuts come out crooked, and I got concerned that the blade might bind in the kerf, causing the board to kick back. To make cutting wide boards easier, I turn my mitre gauge around, so the mitre gauge head is in front of my board, instead of behind. I hold the work piece snug against the gauge with my left hand, and use my right to push the work piece through. 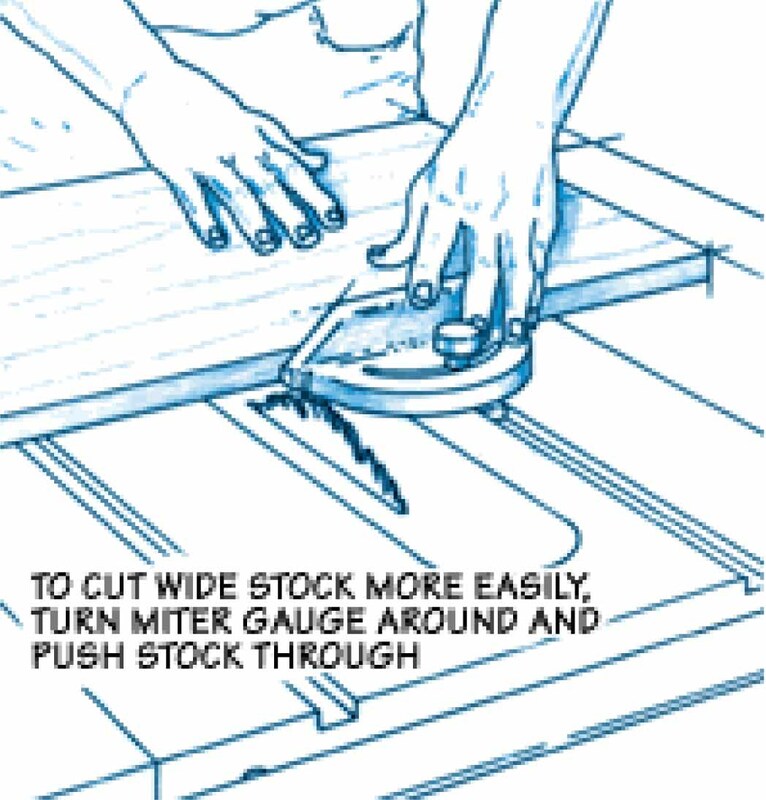 On some boards, the mitre gauge head may be off the saw table when you complete your cut, so make sure you keep a firm grip on the gauge. 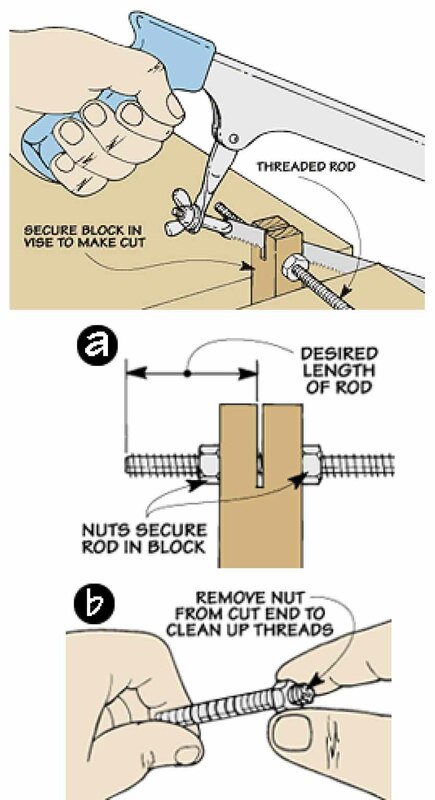 Cutting threaded rod isn't hard – all you need is a hacksaw and a vice. Right? But how many times have you had the rod spin as you try to make the cut only to crush the threads when you tithe jaws of the vice? Or simply endup with a mangled less-than-straight cut? Here's a simple way to make this job a lot cleaner. Instead of clamping the threaded rod directly in the vice, I use an ordinary wood block that I can tighten in the vice, see drawing above. The rod passes through a hole drilled near the end of the block. And a thin kerf guides the hacksaw blade while I make the cut. If you are the Earth, you should use earth yellow tones, brown color, plus you can use in combination with pink color, red color, purple color (Fire make Earth). 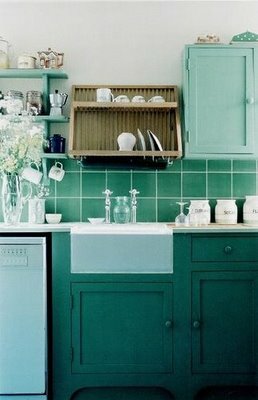 Green color is the intolerance that you should be avoided (Wood break Earth). If you are the Earth, you should choose clothing, decorative objects that they are warm colors like red, pink, orange color. 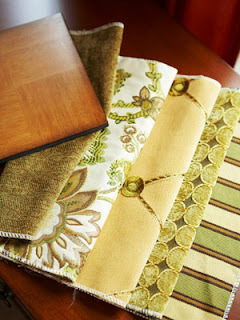 You should choose vignettes are more textured zigzag pattern, sharp image. You should have glasses with pink, red and the shape of glasses is triangles or similar. Hair should be short, crisp hair, youthful style. You should use shoes have spearhead and pointed slightly upward. Light brown color is the color of the Earth, it creates a tight feeling, help you control your emotions. 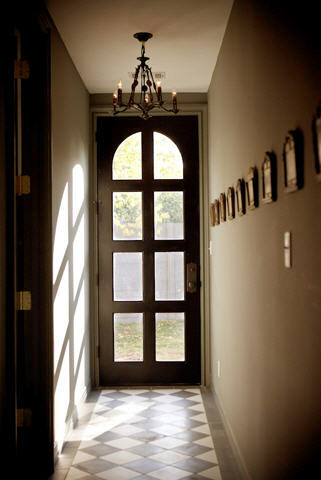 Light brown color usually used for painting the walls, wooden floor... Although the light brown color is not outstanding, but it is the color helps you stay relaxed, pleasant when exposed. Yellow is the color of the Earth. 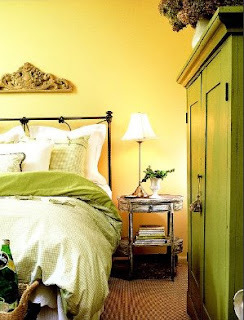 The yellow color makes the room glow. 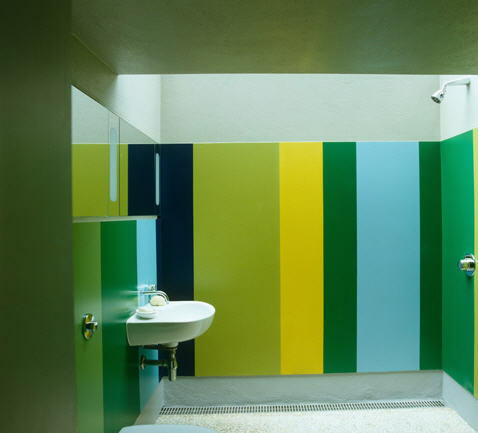 It is the color of sunlight, the color of fun and dynamic. Yellow always make the space become brighter and more open. 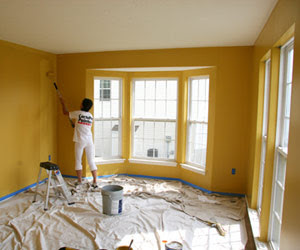 Yellow is the perfect choice for children's rooms as well as living space for the whole family. According to Feng Shui, if you are Earth, Fire make Earth, so when you set bed follow the direction of Fire, which is the North East, South, and Southwest. According to Feng Shui, Water symbolizes energy, health, durability, toughness, vibrant and deeply. 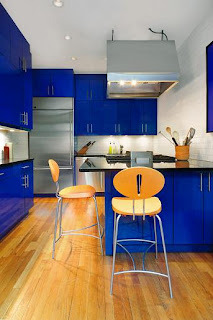 If you are the Water you should use black color and dark blue color. These colors will give you health, abundant life. Black color rarely used in interior decoration, but if used properly, black color brings impressive effects for your room. 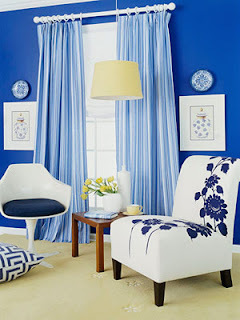 If you are Water, you should select items for your home decorating colors are white tones or bright colors. They have many dot textures, small circle pattern.